Everyone loves a special offer, whether it be a discount, a value-add or something free. We all love getting something extra for nothing, feeling a bit special or savings. 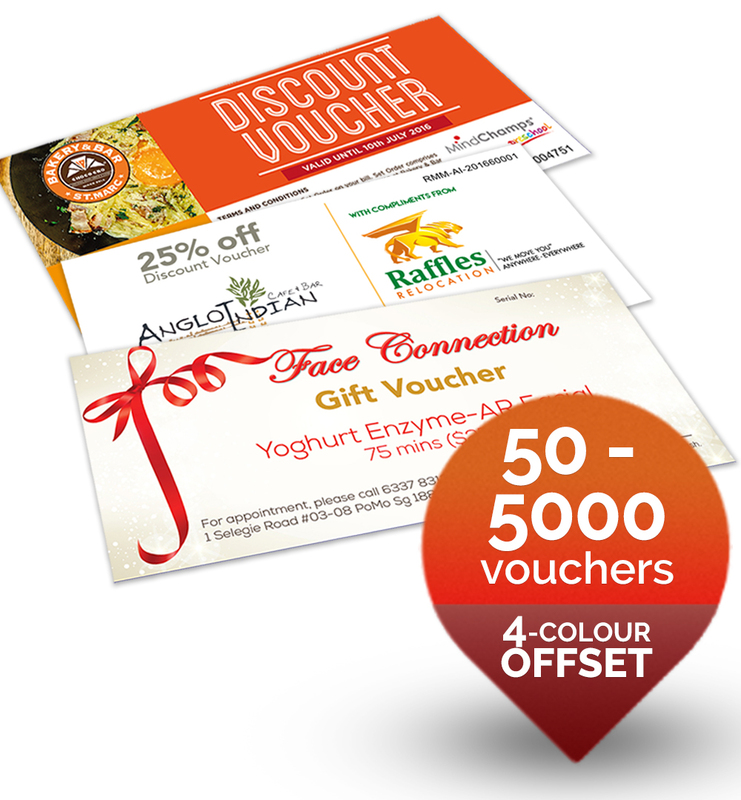 Vouchers are a great way to build loyalty within your existing customer database, or to grab the attention of new potential customers. You can be as creative and clever as you like. It all comes down to honing in your ideal clients needs for each campaign. 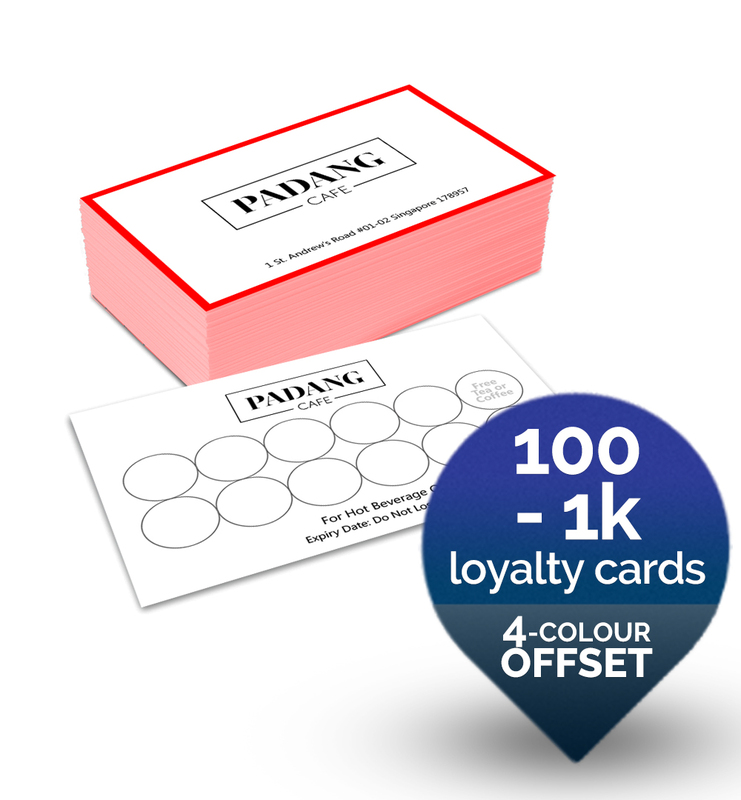 ▪ Buddy up with partners to run joint campaigns or promotions. ▪ Early bird discounts to reward potential leads. ▪ Up-sell to target audience. ▪ Available sizes: 200 x 95mm, 200 x 72mm or 200 x 50mm. 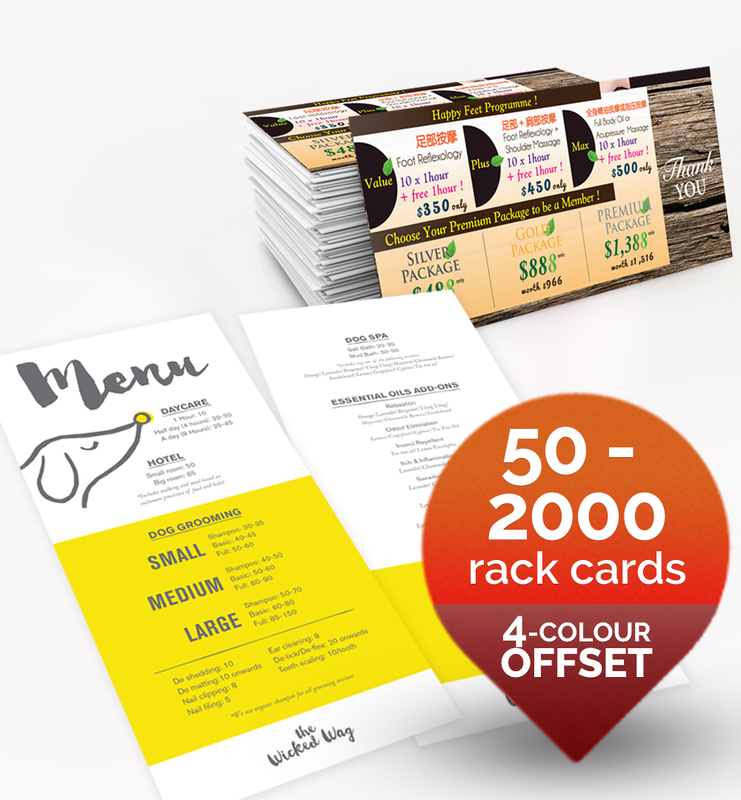 ▪ Choice of material: 120gsm, 150gsm or 250gsm artcard. For orders with more than 1 design, you will get equal number of prints for each design.